Princess Bubblegum summons Finn and Jake to the Candy Kingdom to investigate a rash of thefts and kidnappings that have plagued her kingdom. She thinks the cause lies within her Secret Royal Dungeon, where only the nastiest monsters and criminals are locked up. 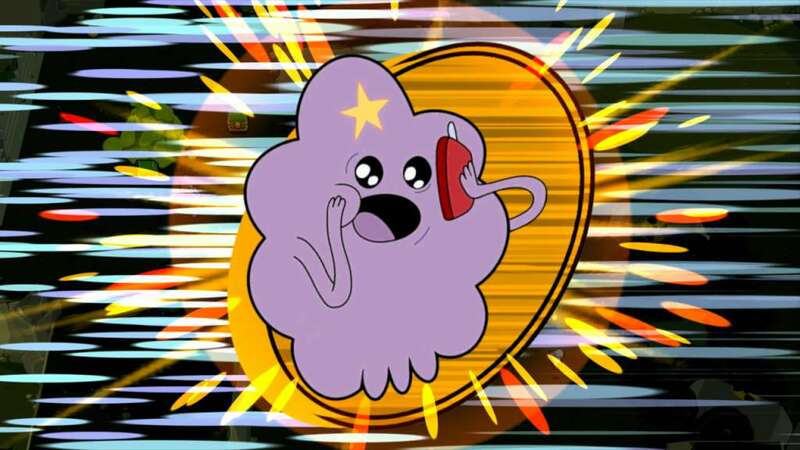 If they’ve found a way to escape, the Land of Ooo will be in danger! Following the mathematical, algebraic, and radical success of 2012’s Adventure Time: Hey Ice King! Why’d You Steal Our Garbage?! !, show creator Pendleton Ward teams up with developer WayForward in the all-new action game Adventure Time: Explore the Dungeon Because I DON’T KNOW! 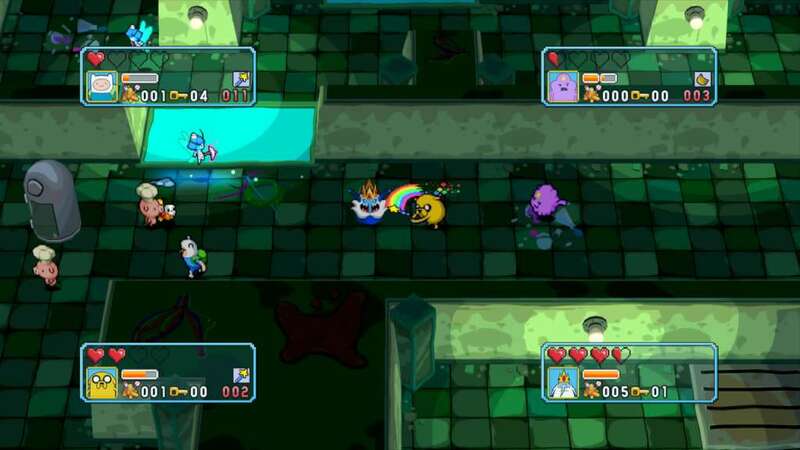 Select from an assortment of fan favorite characters from the show, including Finn, Jake, Marceline, Cinnamon Bun, and more, and team up with your friends in four-player co-operative multiplayer as the Adventure Time world comes to life through beautiful pixel animations, and voiceover from the original cast. 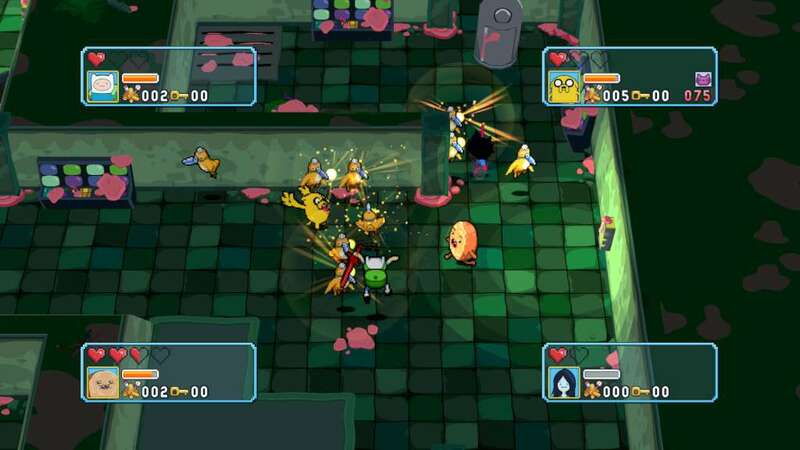 Fight through 100 floors of a massive dungeon, battling enemies and bosses from across the Adventure Time universe, using an arsenal of weapons and power-ups. Raid chests for magical tokens to help you unravel the mystery of the dungeon! 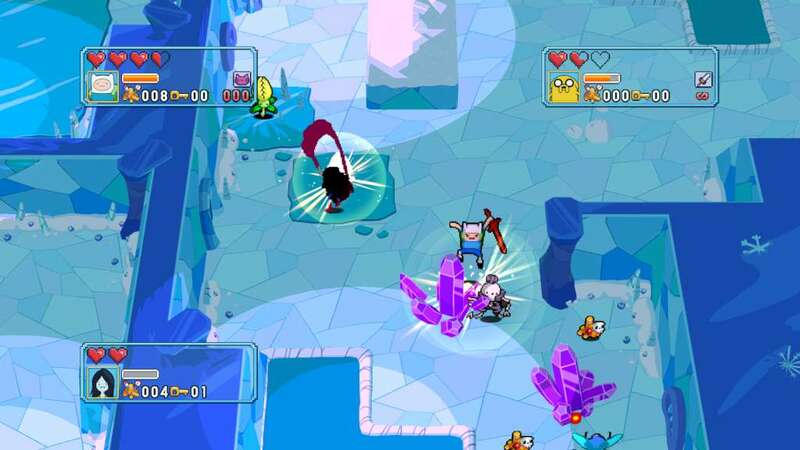 Play as fan-favorite Adventure Time characters Finn, Jake, Marceline and Cinnamon Bun plus many more, each one with unique moves and an arsenal of creative attacks. 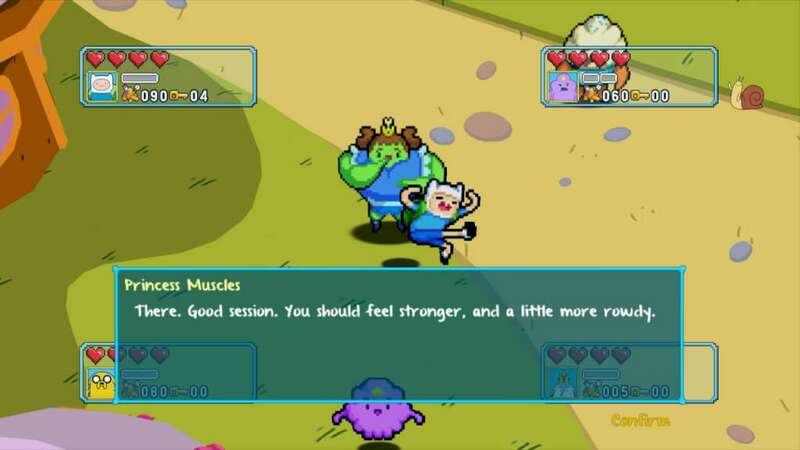 Interact with other popular characters from the Adventure Time show to learn about side quests or buy upgrades to aid your main quest.